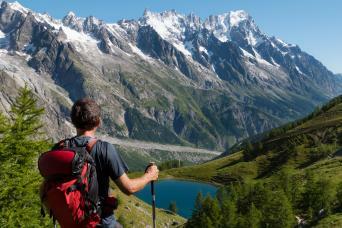 Walking and hiking in the European Alps offers diverse terrain suitable for all levels of walking experience. From easier routes through picture postcard pastures to challenging hikes, our range of walking holidays has something for every walker. Here are our top trips for those looking to stay in authentic Alpine huts. Our 7 night Highlights Tour du Mont Blanc trek explores the best of this classic trek over six days of unforgettable walking in the high alps. Staying in high mountain huts and using public transport as necessary you walk the high mountain trails between France, Italy and Switzerland as you circle Mont Blanc and marvel at the ever-changing panoramas. Daily bag transfer is also included allowing you the freedom to walk each day with just a light day bag. The Complete Tour du Mont Blanc starts and finishes in Les Houches and covers every step of this classic Alpine trek through France, Italy and Switzerland. For the serious walker with a sense of aesthetic there really is no other option for the Tour du Mont Blanc. Daily bag transfer is included so you can walk this classic inn-to-inn trek unencumbered. 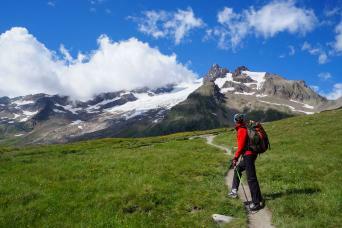 Two weeks of fabulous trekking on the Tour du Mont Blanc staying in mountain huts and hotels. 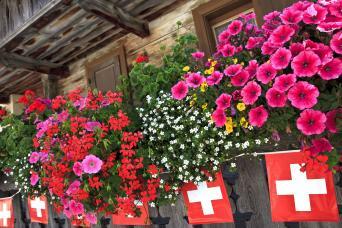 Experience the classic Alpine trek through France, Italy and Switzerland. For the serious walker with a sense of aesthetic there really is no other option for the Tour du Mont Blanc. Daily bag transfer is included so you can take on this fabulous inn-to-inn trek unencumbered. 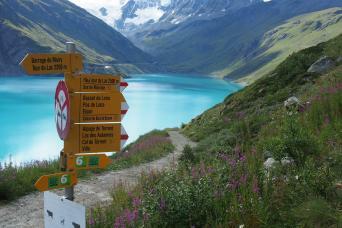 Take on the iconic Eastern section of the Walker’s Haute Route from Arolla to Zermatt. Six days of sublime mountain walking culminating at the foot of the Matterhorn in Zermatt. The Matterhorn is one of the highest mountain peaks in the Alps, its dramatic pyramid peak stands proudly at 4478m. Discover the beauty of this wondrous mountain as you walk along the haute route from Brig down to Zermatt on our self guided walking tour. 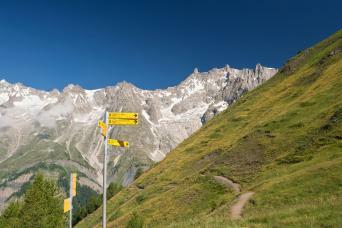 Walk the western section of the Walker’s Haute Route from Chamonix to Arolla. 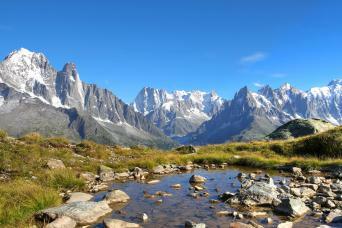 Wonderful views of the Mont Blanc Massif and classic Alpine Walking. 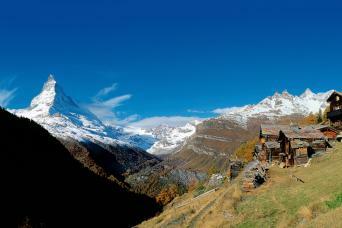 Trek the Walker’s Haute Route from Chamonix to Zermatt. Regularly voted as one of the world’s top walks the journey from Mont Blanc to the Matterhorn on the Walker’s Haute Route is filled with breath-taking mountain panoramas, challenging mountain passes and Alpine scenes lifted straight from a storybook. Book self-guided walking holidays and cycling holidays with Macs Adventure. Explore Europe, the UK and the rest of the world and find out why thousands of people trust us to arrange their perfect self-guided adventure.